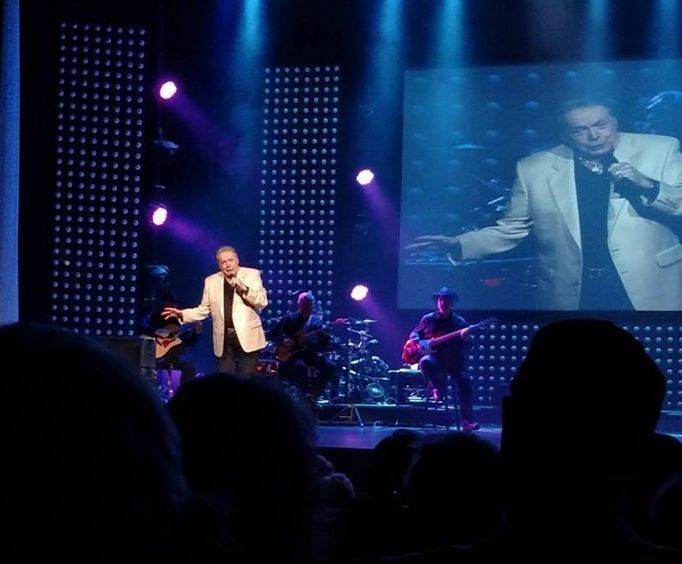 Your trip to Branson would not be complete without catching the legendary Mickey Gilley live on stage. The Mickey Gilley Show plays in the legend's own theater, the Mickey Gilley Grand Shanghai Theater, located on the main strip in Branson. Over the course of the show, your whole family will be impressed with the musical talents of this legend as he plays 39 of his top hits, including 17 tunes that made it to the coveted #1 spot on the country music charts. 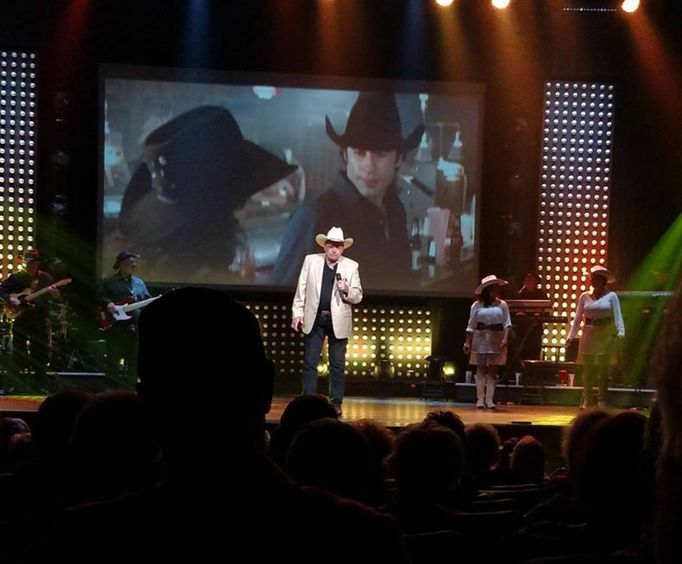 Whether you only know of Mickey from the hit Stand by Me from the popular movie Urban Cowboy or are a die-hard fan with every Mickey album, you're sure to find a fun time of pop-country music with this energetic show. Of course, joining him on this reunion tour is the famous country singer and longtime pal of Gilley, Johnny Lee. This energetic production is sure to be an amazing time that the entire family can enjoy. Hear Gilley's top country hits including 17 tunes that made it No. 1 on the country music Billboard charts. This artist takes the stage with so many great songs in his repertoire. Maybe he'll sing your favorite, like 'A Headache Tomorrow, or a Heartache Tonight,' or 'The Girls all get Prettier at Closing Time.' Of course, joining him on the Branson stage for this epic reunion tour is his longtime pal, Johnny Lee. Experience an amazing musical medley from these legendary performers in Branson MO! The year 1974 saw the beginning of Mickey Gilley's career with a recording of Room Full of Roses alongside the talented Sons of Pioneers. Gilley found nearly instant success and throughout his successful career amassed 17 #1 hit songs, and winning several awards. Johnny Lee is a longtime friend of Mickey Gilley and is joining him once more on their beloved Urban Cowboy Reunion Tour. Lee is a popular country music singer who got his start in the 80s. He is best known for a multitude of greatest hits including 'Lookin' For Love', 'One in a Million', and 'Bet Your Heart on Me' which all reached the top country music charts. With these songs, he launched an unforgettable music career that has survived the decades. Do not miss him when he is back in Branson with Mickey Gilley! This famous Branson theater is known for its wide variety of shows offering everything from music and comedy to unforgettable high-flying thrills. These shows captivate the audience each night, creating quite the reputation for the theatre. The theatre is located right on the Strip at 3455 W 76 Country Boulevard in Branson. As well as the Mickey Gilley & Johnny Lee Urban Cowboy Show, this theater is also the home of the Amazing Acrobats of Shanghai. 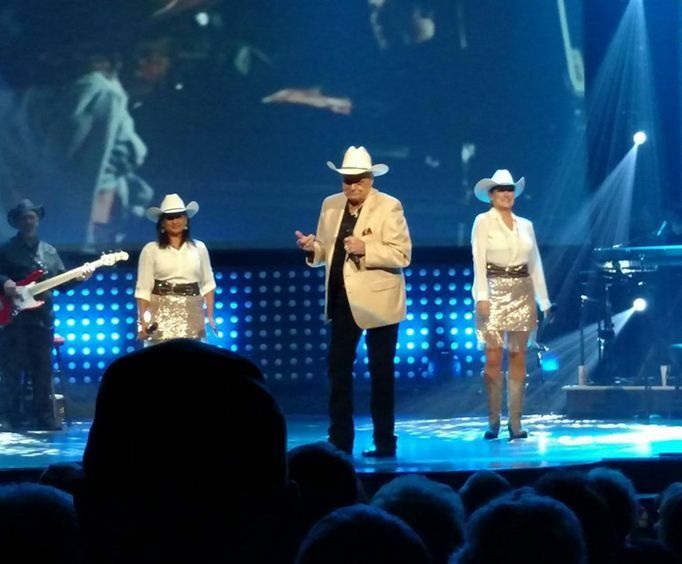 With quality entertainment, comfortable seating, and other awesome amenities, an evening spent at the Mickey Gilley Grand Shanghai Theatre is bound to be a great time. Do not miss out on some fantastic music from amazing country singers and total legends, and make some fun memories on your next trip to Branson. It's bound to be a great night! Approximately how long is the Mickey Gilley & Johnny Lee Urban Cowboy Reunion Show? The show is held at the Mickey Gilley Grand Shanghai Theatre. Do the performers of the Mickey Gilley & Johnny Lee Urban Cowboy Reunion Show sign autographs and meet the audience after the show? What is the length of intermission at Mickey Gilley & Johnny Lee Urban Cowboy Reunion Show? There is free parking at the Mickey Gilley Grand Shanghai Theatre. We have seen mickey all four times that we have been there. We have always enjoyed his show. Sorry he was not able to play the piano yet, but he still put on a great show. Unbelievable, although with his injury, his voice never faltered....He is to truly be admired for his determination and stamina...Wishing mickey gilley the very best. I love mickey gilley. Even though he had his accident, his voice is still wonderful. I have been to many concerts before, but i never enjoyed one as much as i did mickey's. His music has touched my heart for years and always will. We so enjoyed the mickey gilley & johnny lee urban cowboy reunion show--especially mickey gilley's performance. He went above and beyond to give us our money's worth due to the fact that johnny lee was unable to return after intermission. Remarkable that gilley is still able to put on such a quality, genuine, down-to-earth show. Tip: Purchase tickets in advance if possible.